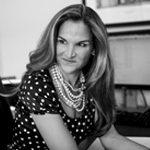 Kate Burda, Kate Burda & Co.
Kate Burda’s work has been both inside the hospitality world within IHG, Hyatt, Hilton and Marriott, as well as within other Fortune 500 companies, such as Medtronic, Abbott and Real Estate Investment firms. Her focus is how to accelerate revenue through Science & Strategy, Process & Customer Engagement, Art & Talent Optimization and Revenue Operations. She brings thought leadership in Sales, Marketing, and Revenue Management to accelerate revenue. As principal of Kate Burda & Co., she currently works with Fortune 500 companies in aligning disciplines of companies to drive revenue collaboratively. For the past 28+ years, she has lead sales, marketing, and revenue management teams in the hospitality sector for top national and multi-national companies. Her career path has included Vice President of Sales & Marketing for Hyatt Hotels, Vice President of Sales & Marketing for CSM an owner and management company for multi-brand hotels, commercial and residential real estate, as well as most recently working with a startup real estate development firm. Her work has encompassed development of start-ups, growth companies, revenue strategies through bankruptcy, as well as building value for the exit sale. Burda is involved with and has done speaking engagements with Strategic Account Management Association (SAMA), HSMAI and mentors revenue leaders. She is certified within revenue management and digital marketing with HSMAI. She received her MBA from the University of Colorado with a concentration in Finance and has her undergraduate degree from the University of Wisconsin-Stout in Hospitality.